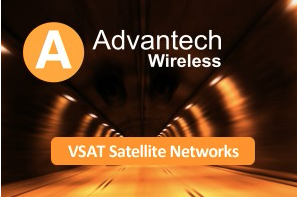 Advantech Wireless Inc., a privately-held Canadian corporation and manufacturer of Satellite, RF Equipment and Microwave Systems today announced the release of its enhanced Advanced Multi-Carrier Demodulator (MCD) with an aggregate throughput of up to 32 Mbps. The Advanced Multi-Carrier Demodulator (MCD) from Advantech Wireless is a state of the art product for MF-TDMA networks. It has a flexible architecture which can be configured to support up to 96 return link MF-TDMA carriers on a single card and enables terminal CAPEX to be minimized compared to the competition. The MCD can support different encapsulation formats and symbol rate on each TDMA carrier simultaneously. This can provide capacity optimization by using longer bursts for streaming traffic like video, while maintaining the dynamic response of shorter bursts for more variable traffic such as Internet browsing.